Home Diet & Nutrition Healthy Eating 6 Foods that Will Keep You Energized! While you might need to look at some medical treatment options if you are suffering from chronic exhaustion and other exhaustion related disorders like insomnia, anxiety etc., what can help you in your attempt to stay fit, healthy and energetic is taking care of your diet. You can make specific foods a part of your regular diet to ensure your body gets the nutrients it needs. You must have seen tennis players having a banana between sets; the reason is not hard to find – It is loaded with vitamin B6, potassium and other essential minerals that can give your body an energy boost. Again, this is a fruit that can be consumed any time. Carry it with you to your office, snack on it, or eat it as a part of your meal. Make this a habit and you won’t find yourself short of energy. Nothing beats eggs, when it comes to nutrition. What’s more, these are easy to prepare and delicious. Eggs are an excellent source of lean protein, and therefore help you build muscle and burn off fat. Also, eggs aren’t expensive and last for a pretty long time. Adding a healthy dose of eggs in your breakfast, lunch or dinner can add huge doses of energy to your body. Not to be ignored. Are you someone who avoids milk? Big mistake. Milk is packed with vitamins B2 and B3 also known as riboflavin and niacin. One of the key roles of B vitamins is converting the food that you eat (carbohydrates) into fuel (glucose). Milk is a multi-faceted health food, and benefits your bones, keeps your heart healthy and does a whole lot more. 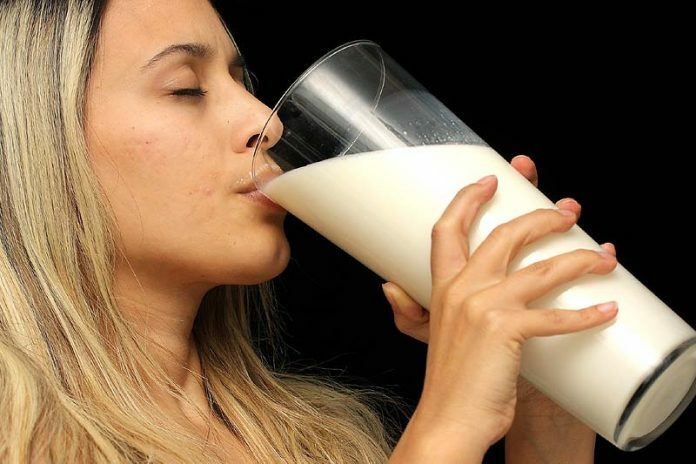 If you want to stay healthy and fit, don’t avoid milk, unless of course you are lactose intolerant. In such cases, you can choose to consume soy milk, which contains no lactose. Even soy milk is a good source of protein, potassium and calcium (when fortified); apart from the many health benefits it brings to the table, it is also a good source of energy. Sweet potatoes rank high on the versatility scale and are a good substitute for potatoes in your diet. They are packed with dietary fiber, low on calories, and have a good amount of water content. Taken together these qualities make sweet potato a great energy booster and a means to assist in your weight loss efforts. Sweet potatoes also make for a great side dish in the form of sweet potato mash or even savory sweet potato mash. For some, it can be an acquired taste, but if you really want to do something about your fatigue, taste shouldn’t be a barrier. Talk of high-energy foods and nuts like cashews, peanuts, hazelnuts and almonds are right up there amongst the best. Nuts are a good source of magnesium, a mineral that plays a pivotal role in converting sugar to energy. This is the kind of food that is easy to carry and delicious to boot – a fantastic combination. Keep a bag of mixed nuts in your office drawer and keep munching on them throughout the day. Love chocolate? Most of us do. Think of a situation wherein you are feeling low on energy, you’ve just had lunch so eating again might not be an option; you also have a long day staring at you. What do you do? Yes, you can munch on those almonds and cashews we talked about in the earlier point, but what you can also do is eat a bar of chocolate (dark chocolate, preferably) to experience a burst of energy. Dark chocolate contains caffeine, and before you say caffeine is bad for you, the caffeine content is much lesser than that of other commonly consumed beverages. This caffeine revs up your metabolism and increases your endurance levels. Rather than searching for a medicinal option for your energy loss, why not search for a natural option that is available easily. Also, make sure that you combine the different energy boosting foods and have them regularly. It makes no sense for you to make them a part of your diet and then forget about them. The key is also to keep searching for newer and better options that suit your body and which are giving you the desired results. Related Videos about Foods that Will Keep You Energized!